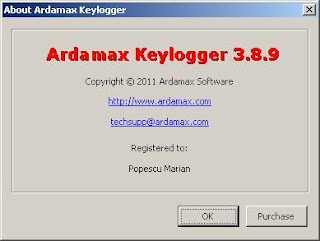 I MAKE THIS TUTORIAL ONLY FOR THOSE WHO "DON'T KNOW" OR "FIRST TIME" HOW TO SETUP A KEY-LOGGER IN A EASE MOOD AND HACK ANY 1 COMPUTER. 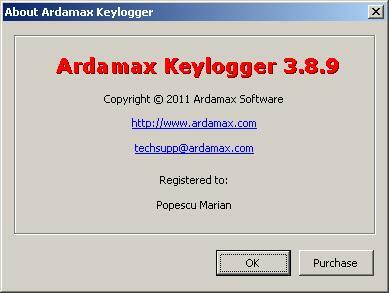 STEP 2 : Now your going to make the Keylogger Engine (The thing you give to your victim). Click 'Remote Installation...', now, click 'next' until you get to Appearences. Now that your at Appearences, click 'Additional components' and un-tick 'Log Viewer' like done in the screenshot, then click Next. STEP 3 : Now you should be at 'Invisibility', make sure all the boxes are ticked, then click 'Next'. STEP 4 : Now you should be at 'Security', now, click 'Enable' and put your password (it can be any password you like, make it something easy so you can remember). Once done, make sure all the boxes are ticked and click 'Next'. STEP 5 : Ok, now you should be at 'Control', click the box that says 'Send logs every', now make it so it sends logs every 30 minutes, then where it says Delivery, un-tick 'Email' and tick 'FTP', leave the 'Include' bit as it is, now un-tick the box where it says 'Send only if log size exceeds', once thats done, it should all look like it does in this screenshot. STEP 6 : Now you should be at 'FTP', create a free account at http://www.drivehq.com/secure/FreeSignup...m=storage, then make sure your at 'Online Storage', then make a new folder called: Logs (this is where the logs are sent to when you keylogg someone). STEP 8 : Now you need a good Fud crypter(Fully Undectable) to bypass antivirus to your victim's pc. See a snapshot how i crypt the server(FUD) to get a fud crypter like this 1 you may check my page name : "CRYPTER AND BINDER"
Also i will like to know how i can auto run it through a link on someones computer.